Most of us have experienced the sadness of a dying bouquet, the decline of a beautiful token of love that we wish we could keep longer. A flower, after all, is one of the fleeting beauties of life, right? Well, it doesn’t have to be that way. Dead flowers have a beauty of their own, and they have a multitude of uses. Dried flowers can be used to decorate the home, to adorn crafts, and to make bath and beauty products. 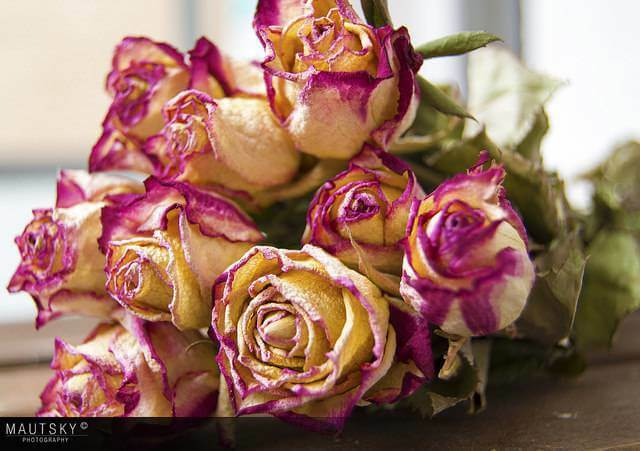 So the next time you are faced with dead flowers, think twice before you toss them out. The most obvious purpose of dead, dried flowers is to decorate the home. After all, dried flowers are sold at craft stores specifically to make everlasting flower arrangements and crafts. Why spend the extra money at the store when you can save your old bouquets? In fact, you can also grow flowers in your garden specifically for drying: Statice, strawflower, cockscomb, and lavender are just a few that I love to grow and dry. Whether you are using flowers from the garden or a bouquet, simply hang them upside down in a well-ventilated warm area for a few weeks. After drying, arrange flowers in a pretty vase to dress up a side table or even to make a centerpiece. 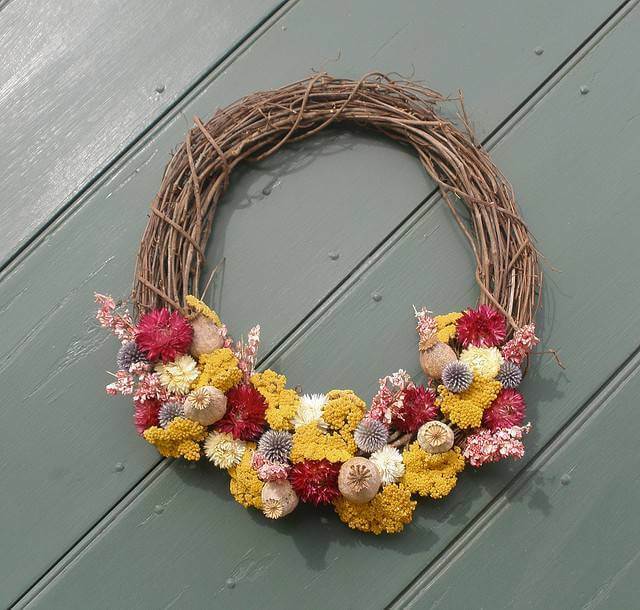 Dried flowers look stunning when used to decorate a wreath or swag as well. Press flowers in heavy books or a flower press, then arrange and frame them for lovely, natural wall décor or a free-standing picture. Dead flowers have so many uses in crafts that I can’t possibly list them all, but here are a few ideas. If you like to make paper, include some colorful flower petals in your paper mix. 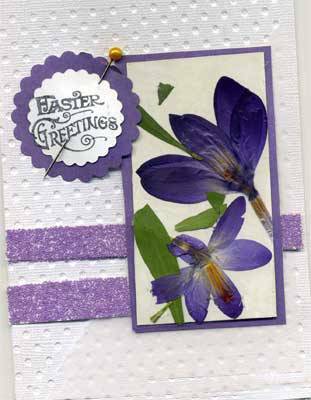 Press and dry flowers to make cards; lightly glue them in place on your cardstock by holding them with tweezers and using a toothpick to add some watered-down glue to the back of the delicate flower. Pressed and dried flowers can also be set in resin or pressed between glass to make beautiful nature-inspired jewelry. 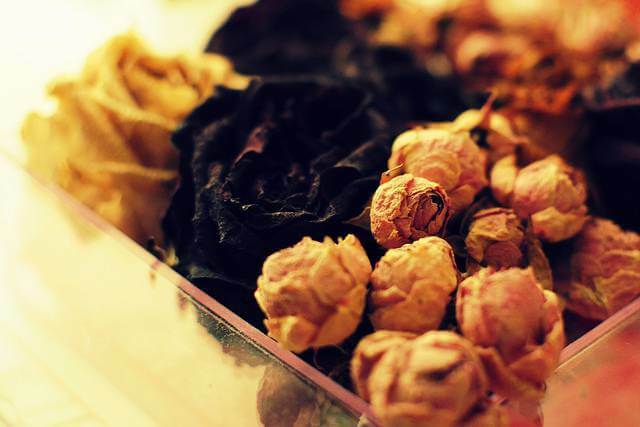 Use dried flower pieces and petals to make potpourri; simply add your favorite scented oil to the mix. The potpourri can be placed in a decorative bowl to provide scent and beauty to any space. I like to put potpourri in votive cups or vintage jars along with battery-operated candles (real candles could catch the potpourri on fire). I group them together for a centerpiece. If you have grown your own flowers organically and know that they are safe to use for the body, you can dry them and add them to your bath for a luxurious and relaxing experience. Soap-makers should consider adding pretty, scented petals to their soaps. 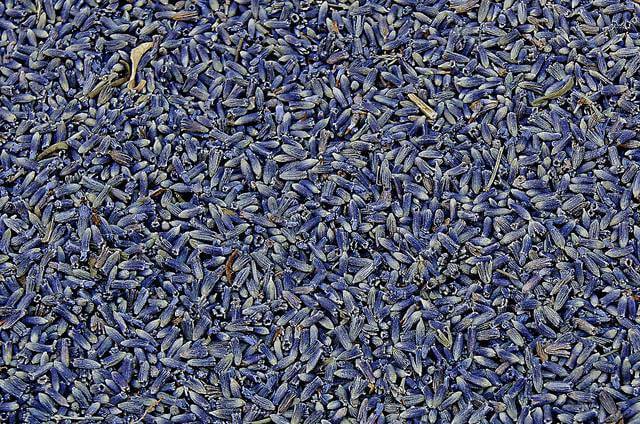 Rose petals and lavender are two excellent flowers for bath and body products. Dried lavender and herbs also make wonderful sachets to place in drawers and cabinets and are easy to assemble. Whole dried flowers or petals can be placed in bottles with perfumed oil to give added beauty to function; use a few bottles to decorate a shelf. Organically grown, food-safe fresh or dried flowers can also be used to make tea. Stems of leaves and flowers can be placed on screens in a warm, airy place to dry. When completely dry, the flowers and leaves should be stripped and stored in airtight containers for later use. The same can be done with herbs. Bee balm, roses, betony, chamomile, mint, and lemon balm are a few of my favorite flowers and herbs for making teas. Add a tablespoon or so of dried flowers to a tea infuser or tea ball, and then steep for a few minutes in boiling water. Add sweetener, lemon, and cream as desired.